Soil Management In Your Cut Flower Garden. 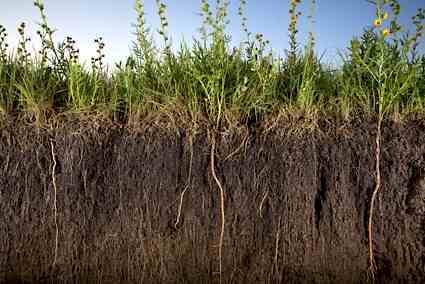 Soil is amazing stuff and it’s worth looking after. Great-grandmother Ambrosia Foxtrot-Higgledy was the first underground balloonist to cross the channel in the world’s first tunneling balloon, the ‘Larkspur 13’. What she didn’t know about soil wasn’t worth knowing. She left some general tips in her memoirs which I shall share. Ambrosia suggested that for the purpose of cut flower gardening of which she was a great fan and extremely competent, that one should consider soil structure to be much more important than soil fertility. Making the flower beds too rich with manure, for instance, would result in lots of greenery and few flowers. Adding organic material is the way to better soil structure both for clay soils and for sandy soils. Homemade compost is perfect adding some straw to the compost will help keep it from becoming too rich. If your soil is really dreadful and full of rocks and gremlins you could consider raised beds…you can buy in some topsoil and compost and it won’t break the bank. This can make your life much easier and looks good too boot but beware that they can dry out very easily as they have excellent drainage. I don’t use raised beds myself but I always like to mulch my beds once or twice a year with a couple of inches of homemade compost…it takes no time at all to see the improvement in the soil structure. Some folk like to double dig their beds before sowing…I have found this to be unnecessary and double digging doesn’t appeal to my inner slacker. I just fork the ground over to the depth of the fork itself… Ambrosia shirked the idea of double digging too….she said it should be left for those people who wear clothes with writing on. We could go into soil Ph at this time…but to be frank…unless your soil is REALLY acid or alkaline then you will be fine with flower growing. Look after your soil and it will look after you. Designing The Layout Of Your Cut Flower Patch. Hardy Annual Flowers For Your Cutting Garden.